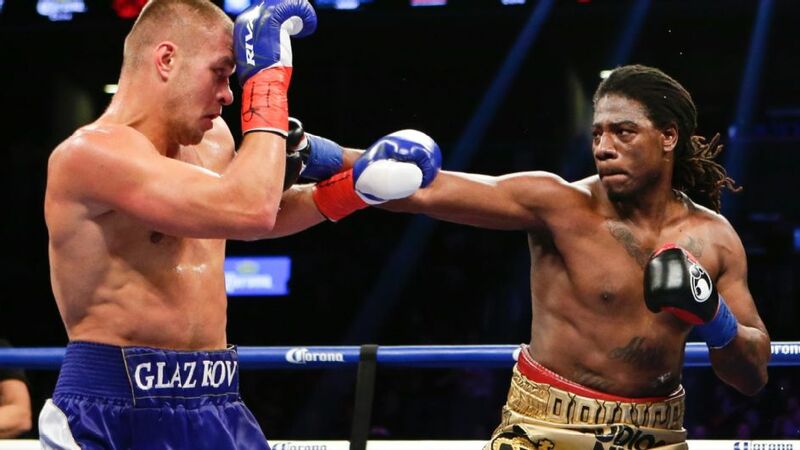 NEW YORK -- It came with a whimper and not a bang, but Charles Martin claimed a vacant heavyweight world title by stopping injured Vyacheslav "Czar" Glazkov in the third round on Saturday night in a fight that proved nothing at the Barclays Center in Brooklyn. Little had happened through the first two rounds, although Martin appeared to have the advantage based on his punch output. In the third round, however, the right-handed Glazkov slipped to the canvas when his feet got tangled with the southpaw; Glazkov then fell down. Referee Earl Brown properly ruled it a slip, but Glazkov grimaced and appeared to hurt his right knee. When the fight resumed, Glazkov threw a punch and went down again without being hit in return. He dropped to the canvas, clearly in pain, because he knee buckled badly. He made it to his feet but could not go on. Brown stopped the fight at 1 minute, 10 seconds. The ringside doctor examined Glazkov in the ring and diagnosed him with a torn right ACL.